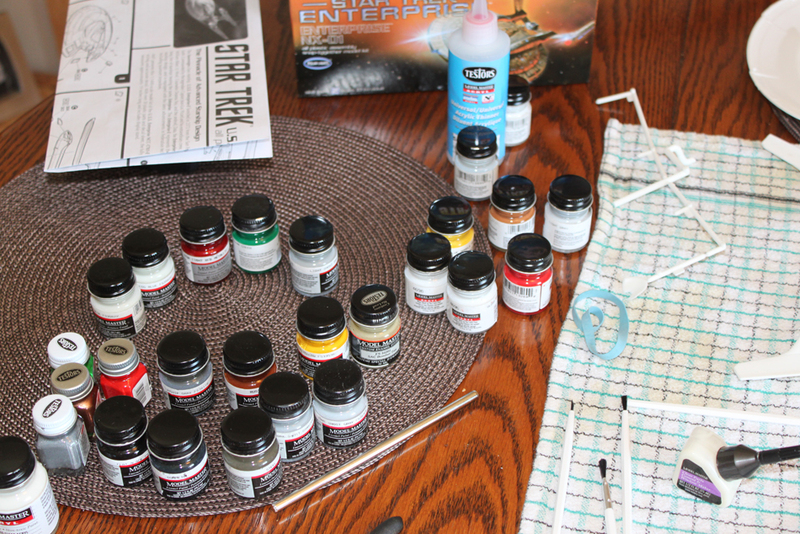 When I was growing up, my parents one year gave me a small plastic model car kit to put together for my birthday. I can’t remember exactly what the car was, but all I remember was that I had a blast with it. 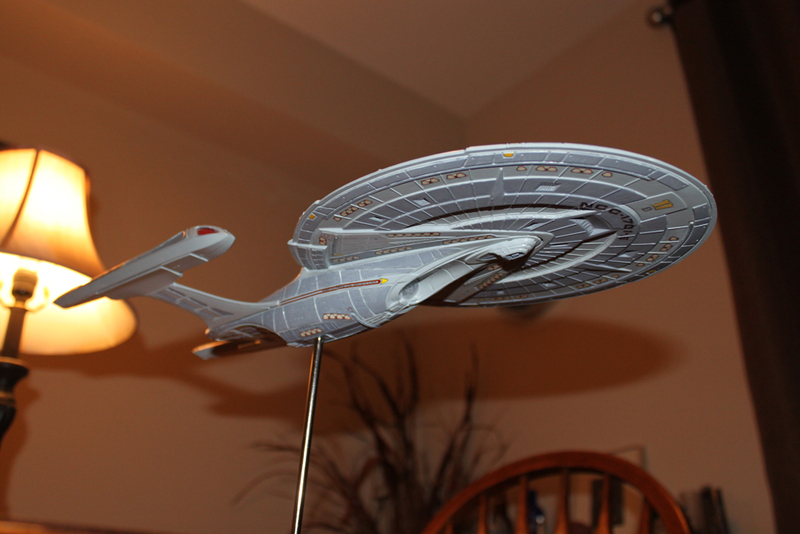 Over time, I got more and more models, and eventually half my room was filled with them. They were mostly muscle cars, but I do remember putting together one of these model engines. 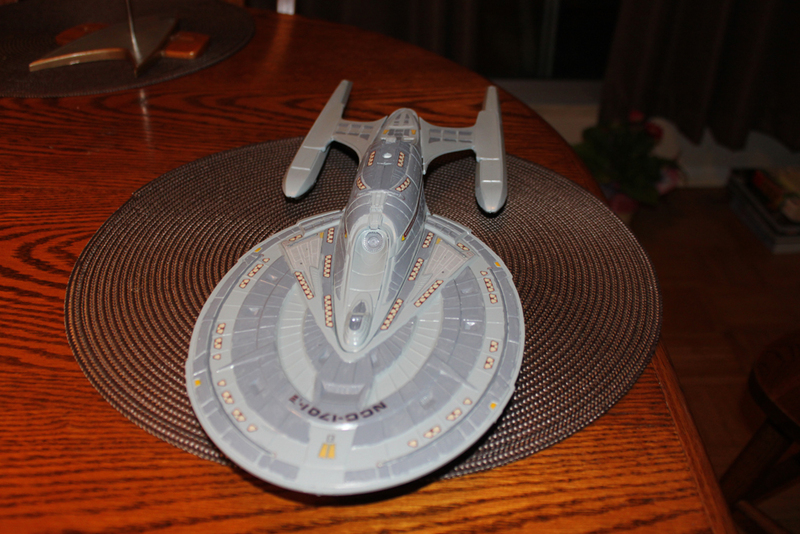 I had so much fun, and the thing actually had a crank on it that you could turn and have all the parts move. 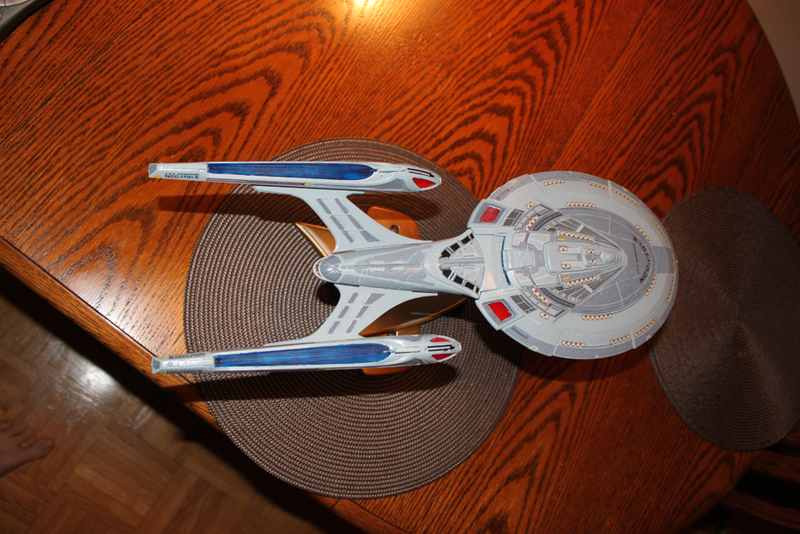 Now, for those that know me, I’m also a HUGE Star Trek fan. 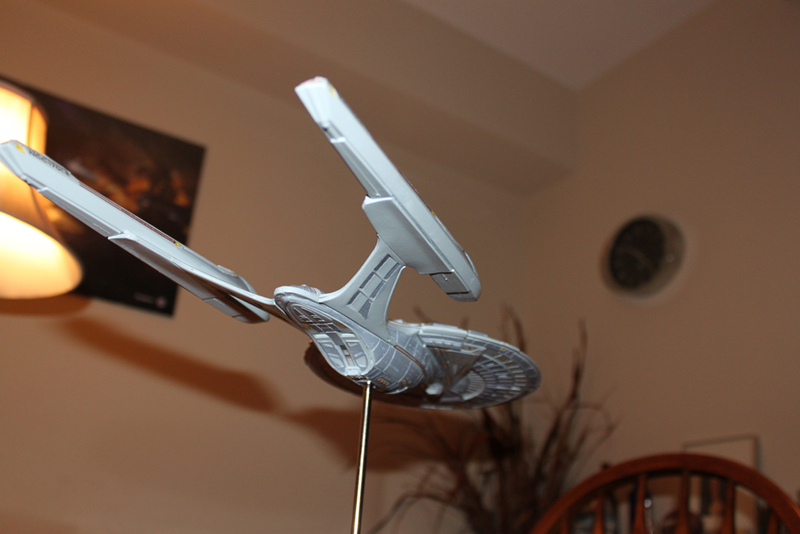 Obviously these 2 things came together, and I did have a couple Star Trek models. 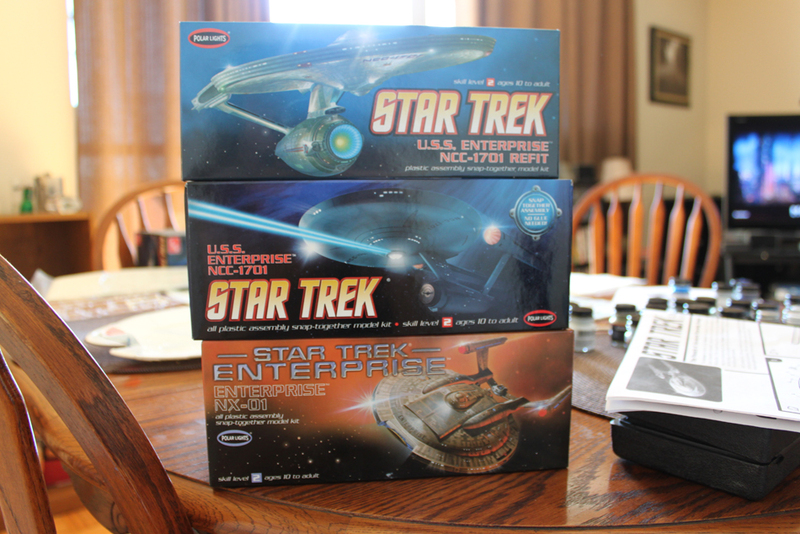 One being the Enterprise with lights and sounds from the original 6 movies, and the second being the iconic Enterprise D. I don’t know whatever happened to these, but needless to say, I don’t have them anymore. 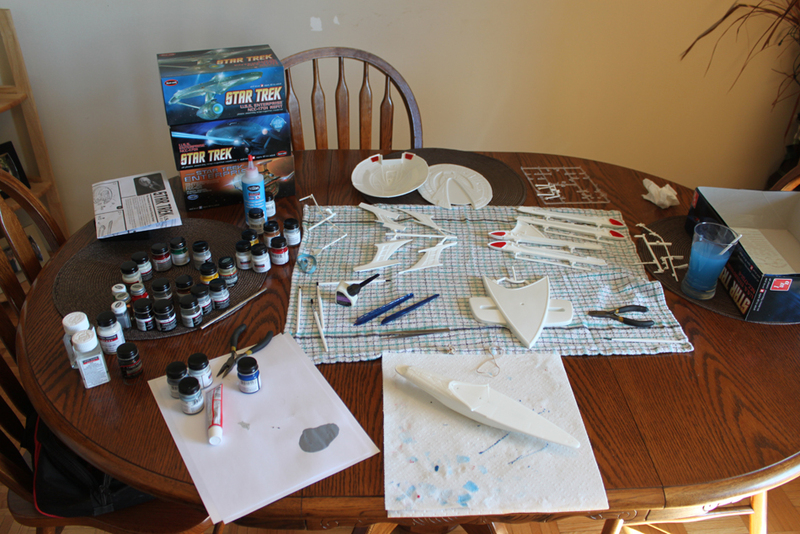 About 3 or 4 years ago, I got the itch to try this out again. 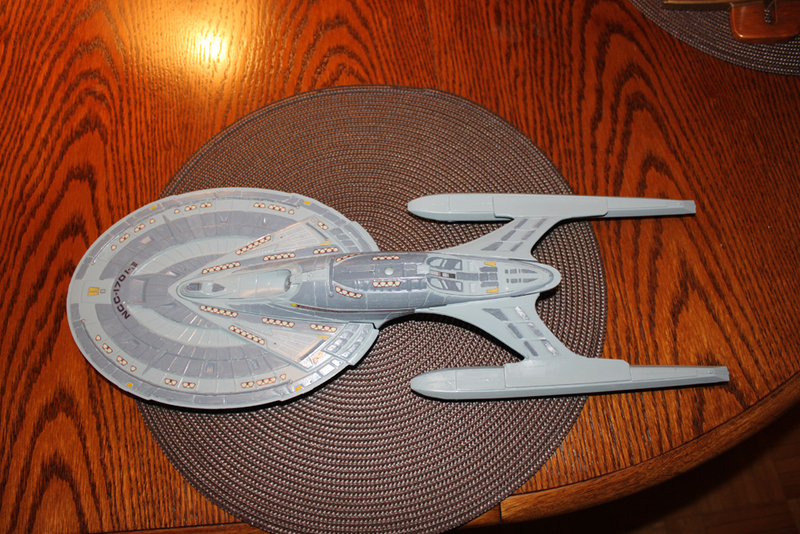 I wanted to stick more to the Star Trek models, specifically the Enterprise E. Well, at the time, these models were well out of print, and best I could do was to hit up Ebay and hope for the best. 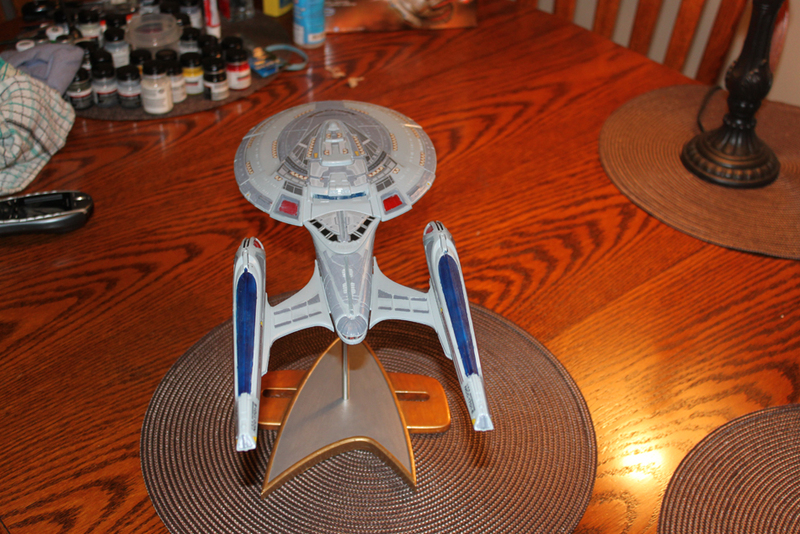 Unfortunatly, all these models were running in and upwards of $100 at the time (eg this). Well, on a university budget, I said no. 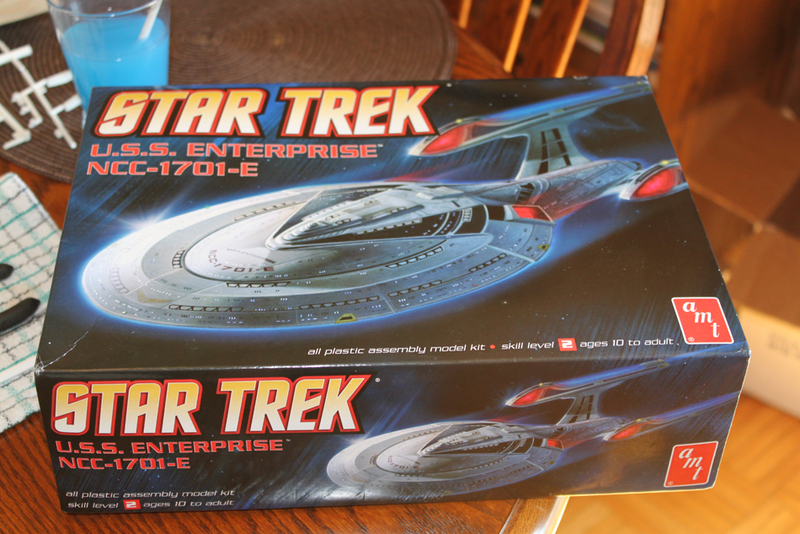 Just over a year ago though, a company by the name of Round 2 decided to bring back a lot of the old AMT Star Trek models, and one of their first was the Enterprise E. The thing was that these models were all going to be reasonably priced as well. 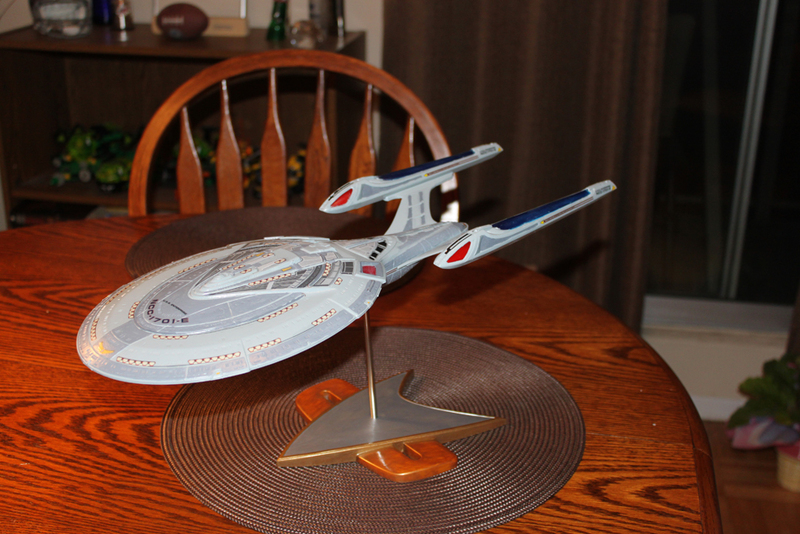 So, I hit up Ebay, and for a cool $30, I had myself a brand spanking new model. I then thought why not go full out and get the entire line. 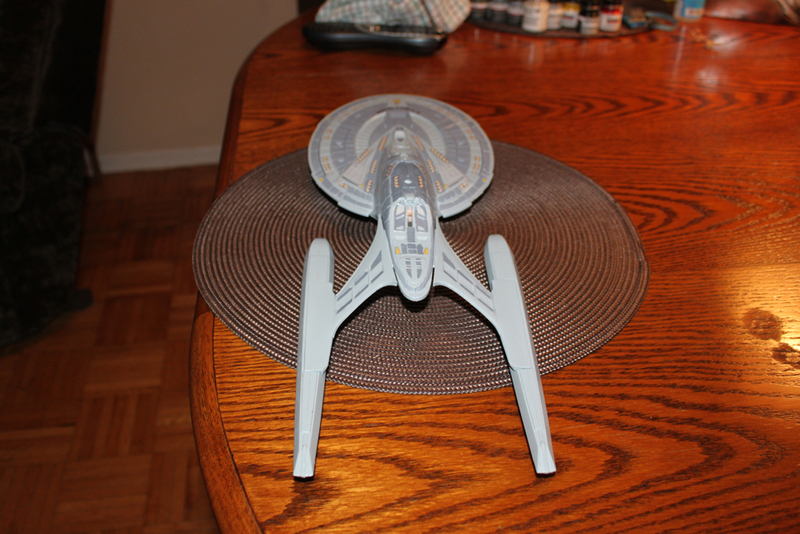 I did a bit more research, and it turns out that most of the Enterprise models were either already re-issued, or where in the process of being so. 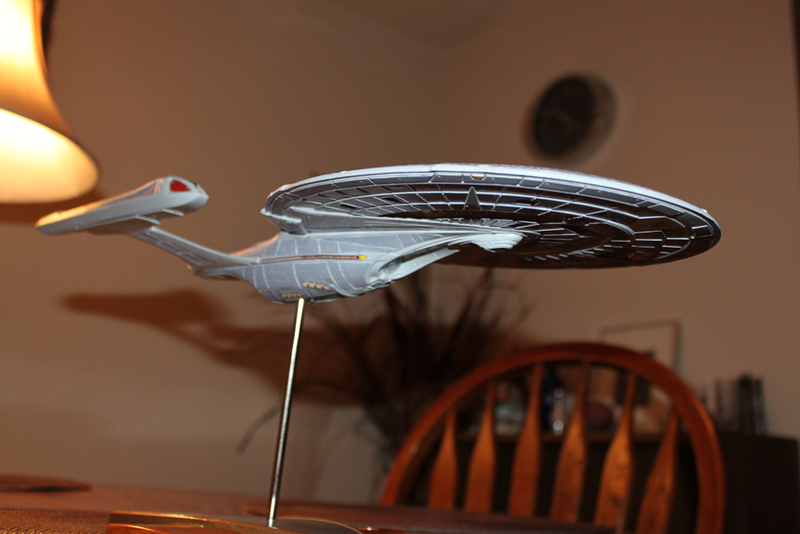 So, I picked up the original Enterprise, the Refit from the movies, and the NX-01 from the show “Enterprise”. 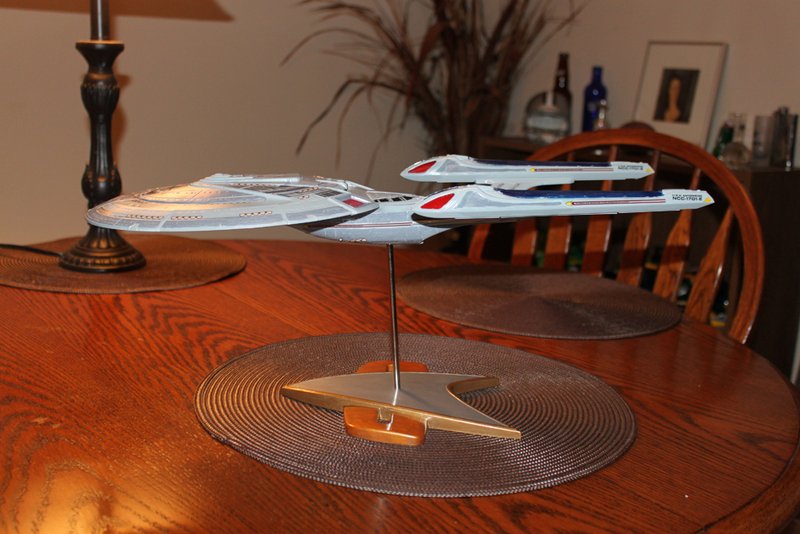 Coming in short order is the Enterprise D (from the show) and the Enterprise B (from the movie Star Trek Generations). I’m so pumped. 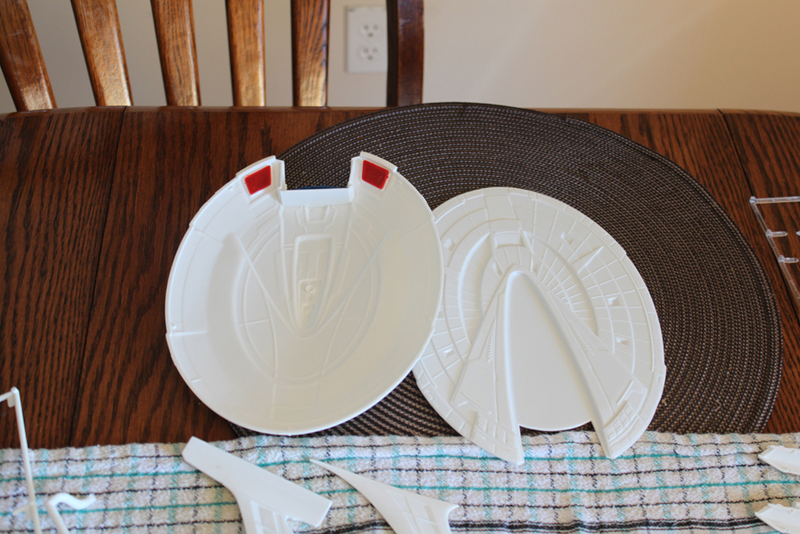 The only thing missing now is the Enterprise C. But I’m sure this will come in time. 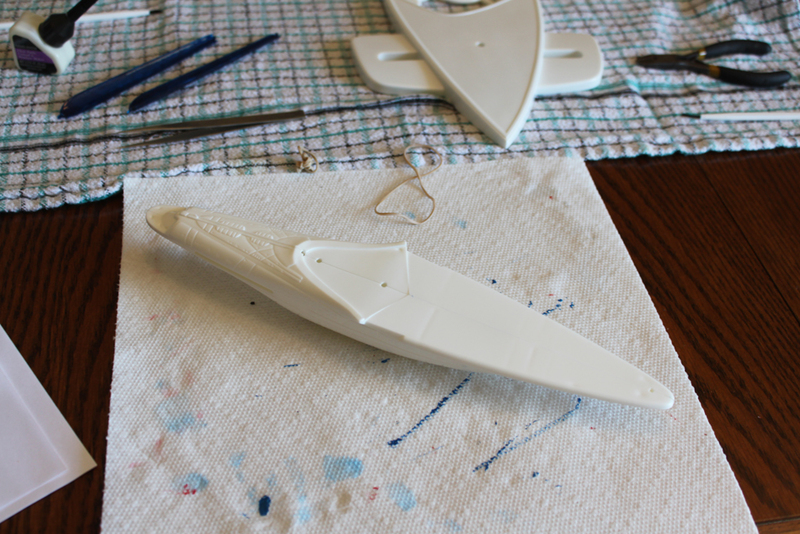 I’m hoping to get most of it done this weekend, but what I don’t, I’ll finish up this next week. I’ll post a few more pictures once the E is done.